The second Sale Arts Trail took place over the weekend of 11th – 13th July 2014. Over 50 artists exhibited and sold their work in selected venues around Sale, from garden and attic studios to art cafes and galleries. Simon Buckley Photographer, Anne Earnshaw, Julie Harris Photography, Nicola Taylor. 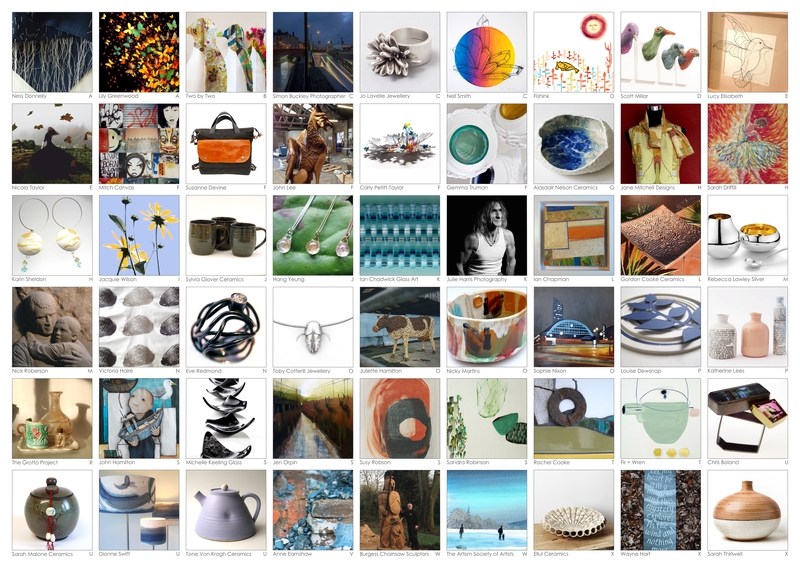 Gordon Cooke Ceramics, Katherine Lees, Ellul Ceramics, Sarah Malone Ceramics, Sylvia Glover Ceramics, Alasdair Nelson Ceramics, Nicky Martins, Tone Von Krogh. 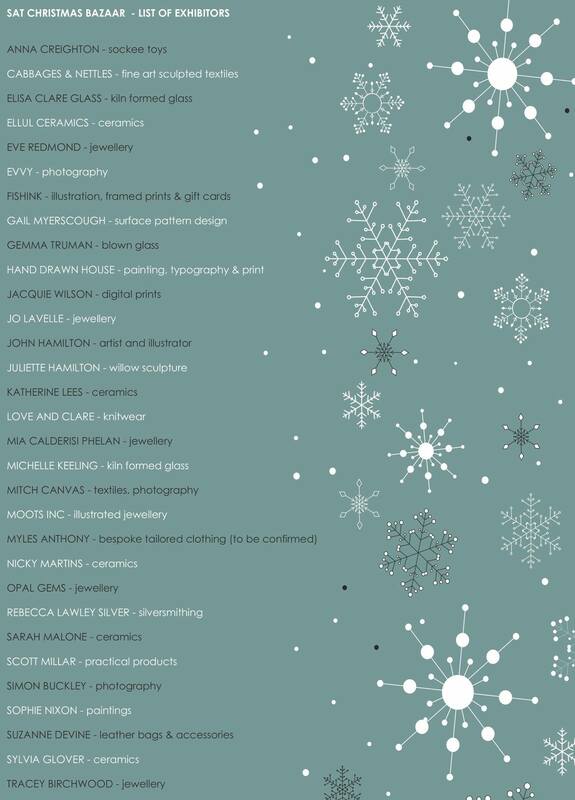 Dionne Swift, Mitch Canvas, Ness Donnelly, Suzanne Devine, Jane Mitchell Designs. Ian Chadwick Glass Art, Michelle Keeling Glass, Gemma Truman. Scott Millar, Susy Robson, Rachel Cooke, Wayne Hart, fir + wren, Jacqui Wilson, Ian Chapman. Sarah Thirlwell, John Lee, Burgess Chainsaw Wood Sculptors. Louise Dewsnap, Juliette Hamilton, Nick Roberson, Lucy Elisabeth, Two by Two,The Artism Society of Artists.